Pretty much expresses our opinion of Mondays. You have the ideal Monday expressions, and you are super cute! You are one handsome mancat ... Monday or not. Maxwell, you have a natural talent for making the silliest expressions. MOL! You made us giggle! I couldn't have said it better myself! You're right on target! We love, love, LOVER these photos!!! MOL! The head peep says that about Mondays, too. 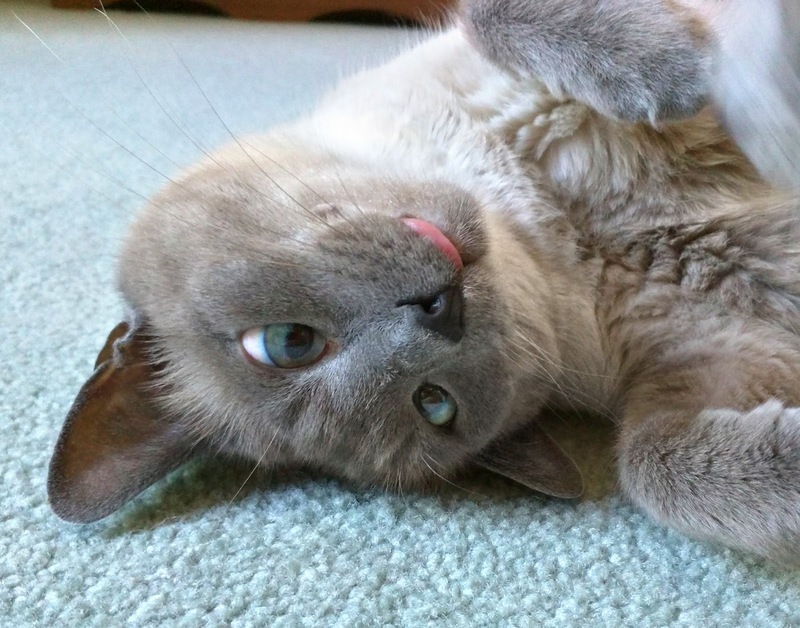 You look like you got into some primo catnip, Maxwell. MOL! That gave Mom Paula a laugh as she's still sitting at the computer at work after normal business hours. 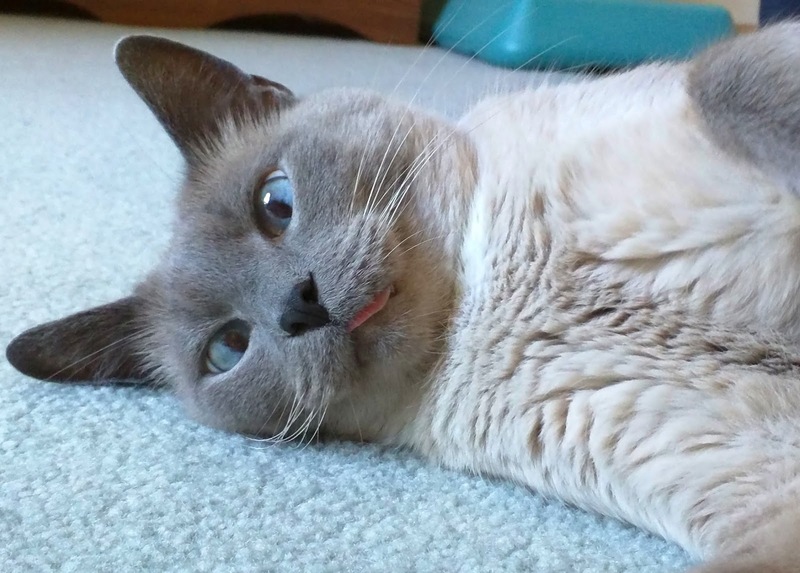 Awwwww we love your Derpy Monday Maxie! OMC that is the cutest expression ever!!!!! Got a Strong Opinion, Do Ya? 'Toon Tuesdays: Punny But No? The ... Cat Days of Summer?